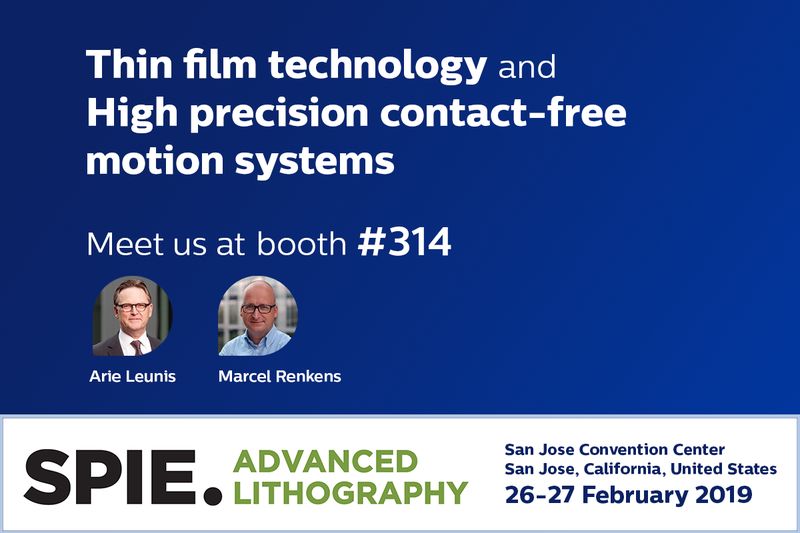 SPIE Advanced Lithography 2019 is the key event that drives the future of lithography research and applications. High-precision contact-free motion systems. We have a large track record in developing critical positioning/scanning modules for leading Semiconductor OEMS’s. These modules are characterized by nanometer precision, minimized particle generation, high productivity and high robustness. We develop those modules from concept until release for volume. Thin film technology. Based on our ‘thin film’ expertise we are able to produce ultra-thin, large size (>100x100m²) defect-free membranes. As these membranes have a high EUV transmission they can effectively be used in EUV applications a.o. to prevent particle/debris contamination on critical parts or as a spectral filter to absorb radiation of undesired wavelengths. Looking forward to meet you at booth #314 to discuss how we can help making your innovation work!